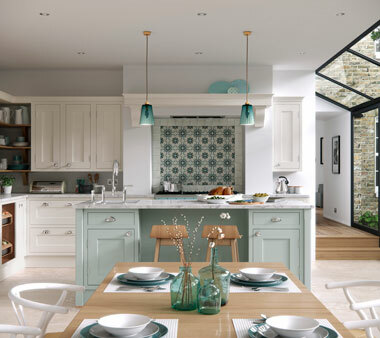 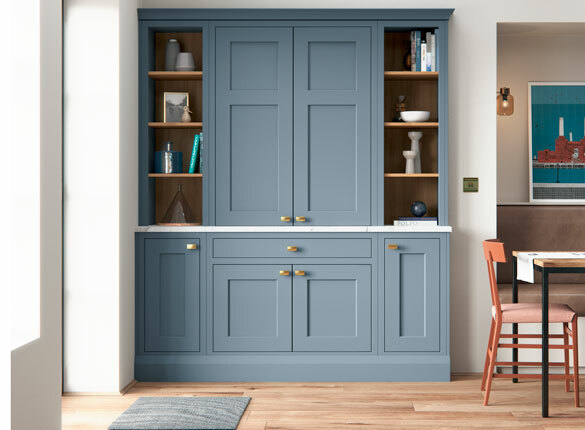 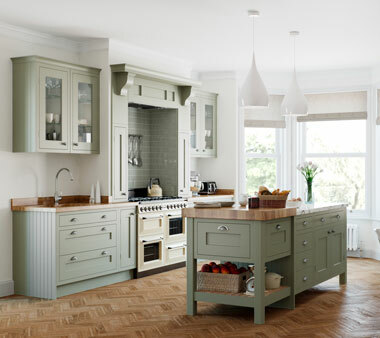 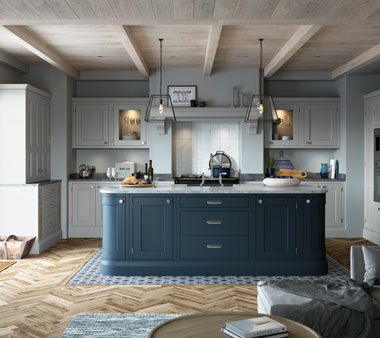 This contemporary design is painted solely in our new bespoke ‘Stone Blue’. 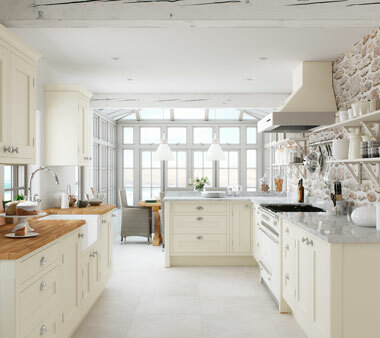 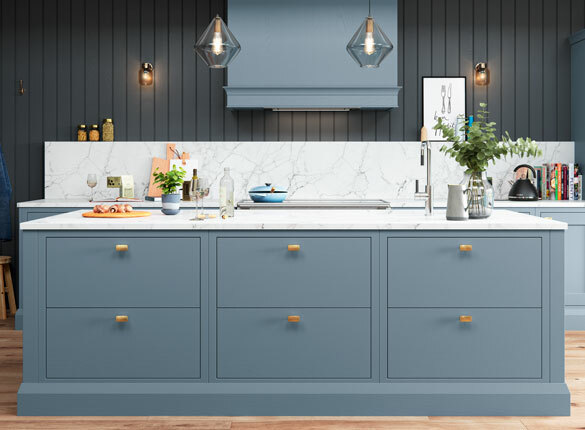 The kitchen features a mix of slab drawers and shaker styled doors to give a contemporary twist to the classic in-frame. 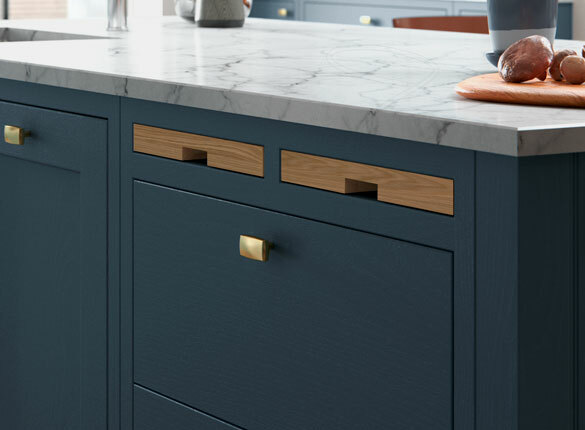 Solid brushed satin brass cabinet handles complete the look, making it feel edgy and luxe at the same time.